A giant crane rises above the Pechanga Resort & Casino in Temecula, a grand gaming hall that's expanding as we speak. They're adding more casino floor space and erecting another parking garage to accommodate even more losers. "So it's going good," I said to an employee. "It's going good," he said with a smile. Now I know what people are doing with their vehicle license fee savings. It's none of my business what people do with their money, of course. But as Gov. Arnold Schwarzenegger's team negotiates with the tribes, trying to get a cut of their $4 billion to $6 billion in annual earnings in return for expansion rights, someone should ask if we really ought to encourage more gambling. Inside the Pechanga, the hobbled hordes were unstoppable. I don't know if you've been to a tribal casino lately, but go in the middle of the day and you see battalions of seniors with crutches, walkers, canes and wheelchairs. It's as if they're in a trance, on their way to a faith healing. You've got young, able-bodied people too, which makes you wonder what kind of jobs they've got. Or are they here to drop unemployment checks? A woman named Patricia came roaring across the casino floor in a wheelchair, one leg extended straight out in front of her in a splint. You'd think that, in that awkward position, there's no way to play a slot machine. But Patricia tossed a chair out of the way and came in side-saddle. "Nothing could stop you, could it?" I said. "I can do anything you can do," Patricia responded as she reached up to play the 5-cent Leprechaun's Gold slot machine. "I got shot in the leg four times in Compton 17 years ago," Patricia said. "It was an AK-47." She said she gets by on disability and Section 8 housing. Like I said, it ain't my money. But actually, I guess it is. Are we losing twice here, I wondered? We pay taxes for people in need, they drop it into a slot machine, and the Indians don't give any of it back. Patricia shook her head when I asked if she was gambling her disability check. "This is my boyfriend's money," she said. It's the seniors, though, that really put on a show. They move in slow motion until they plant themselves in front of the slots, and then watch out. You've never seen Social Security checks, IRA accounts and the grandchildren's inheritance disappear so fast. If the tribes were smart, they'd loosen up the slots, which appear to be tighter than the doors of a bank vault. I found a lot of cranky losers when I asked gamblers if they think the casinos should kick some of their winnings back to the state. I polled seven people and the vote was unanimous for kicking a percentage of the house winnings over to the state. "I suppose you could say that we took the land away from them, but that was a long time ago," said Frances Gootman, who took the bus to Pechanga with a senior group from the San Fernando Valley. "I never realized there were so many tribes," said her pal, Lisa Nelson, who raised an eyebrow. Yeah, when it came time for the white man to pay for his sins, a lot of people discovered they had Native American blood. Gootman, whom I spoke to in the hotel lobby, made it clear that she shouldn't be lumped in with the problem gamblers who limped past us on their way to the casino. She came for the outing, and sure, she played some video poker, but not for long. "I made four-of-a-kind, and I ran," she said of her $25 windfall. "There's someone with an oxygen tank in there, and she's a danger to everyone. She could blow the place up. I wouldn't come here if I were on crutches or a walker or oxygen. You've got to realize your limits at a certain point in your life." Yes, and speaking of knowing when to fold' em, the casinos seem to realize they aren't playing a particularly strong hand these days. As California bleeds, the virtually unregulated tribes rake in billions and pay next to nothing to state or local government, while tribes in other states pay up to a quarter of their winnings. For that, we can thank the great pale-face Gray Davis — the money hound who chased after campaign wampum and then lay down like a reservation mutt. But Gov. Schwarzenegger is a shrewder operator than Davis, and he's got a weapon that strikes fear into the tribes. If they don't fork over enough of their winnings, Schwarzenegger can back an initiative that would bring slot machines to horse tracks and card rooms. The tribes feel the heat, which is why the Agua Caliente band just proposed an initiative that would surrender 8.84% of tribal winnings to the state. Thanks, Agua Caliente, but no thanks. That's not enough dough and, worst of all, the initiative would allow tribes to build as many casinos as they want and do as they please without state intervention for 99 years. We don't need the sprawl, the traffic, the environmental damage, the slots or the legions of fools that initiative would spawn — saps dependent on government bailouts after they hit rock bottom at the blackjack table. On my way out of Pechanga, I met a couple from La Verne. She broke even. He lost. "I always lose," he said. Should the casinos pay their fair share? I asked. "Of course," said the man's wife. "They keep taking money from idiots like us, so they ought to pay something." Steve Lopez writes Sunday, Wednesday and Friday. Reach him at steve.lopez@latimes.com. Neither does the state lottery—no matter how poor the California's buying the tickets. That's because the lottery revenue goes to education, a service we deem essential. The same is true of tribal gaming revenue—it also goes for essential government services. If the players were smart, they'd go to the tribal or non-tribal casinos with the loosest slots. See Meyer Cartoon Shows Tipi as Casino Offering "Loose Slots" for more on the issue of the "tight" Indian slots. Maybe Lopez can get together with Meyer and decide if California's Indian slots are tight or loose. That happened a lot more recently than the ratification of the US Constitution, which also was "a long time ago." The number of people per tribe is a separate issue from the number of tribes. As far as I know, not a single California tribe is accused of being "reconstituted" like Connecticut's Pequots. "Virtually unregulated"...another myth. See The Facts About Tribal Government Gaming Regulation for details. Wow...three Native stereotypes in one paragraph. Lopez has hit the jackpot with that one. If the issue were African American instead of Native American, would Lopez write about how Davis danced with rhythm, ate a watermelon, or cashed a welfare check? No, probably not. Lopez's use of stereotypes only in his writing about Indians suggests he's a racist. This is a typical lineup of complaints against tribal casinos. It doesn't bear up to much scrutiny. Sprawl? Most Indian casinos are in rural areas where overcrowding isn't a problem. If sprawl is occurring, it's occurring because rich white Americans insist on spacious tract homes wherever they live. Lopez's Pechanga example is instructive. Sprawling housing tracts almost surround the Pechanga reservation near Temecula. Fortunately, that suburban sprawl can't overrun the sovereign Pechanga reservation. Pechanga is a bulwark against sprawl, not a cause of sprawl. Traffic? Again, Indian casinos are usually in rural areas without much traffic. Slowdowns on the roads to the casinos are the main effect. These mainly affect the casino's patrons, who bring it on themselves, and the few people who live along the same roads. Patrons can come any time of day or night, so they don't necessarily contribute to rush-hour congestion. Considering that a casino like Pechanga draws people from the more crowded streets of major cities, it's not even clear if the casino's net effect is negative. Environmental damage? From what...a resort? Which is essentially a big hotel? What environmental damage do big hotels cause, exactly? Is Lopez on a crusade against the tens of thousands of properties around the state that cause as much "environmental damage" as Pechanga? About the only damage Lopez can even hypothesize is the increased air pollution from the increased traffic. But he has no idea if the cars visiting a rural casino like Pechanga would be operating elsewhere instead—perhaps in stop-and-go city traffic, which causes more pollution. The point is so speculative it's hardly worth discussing. 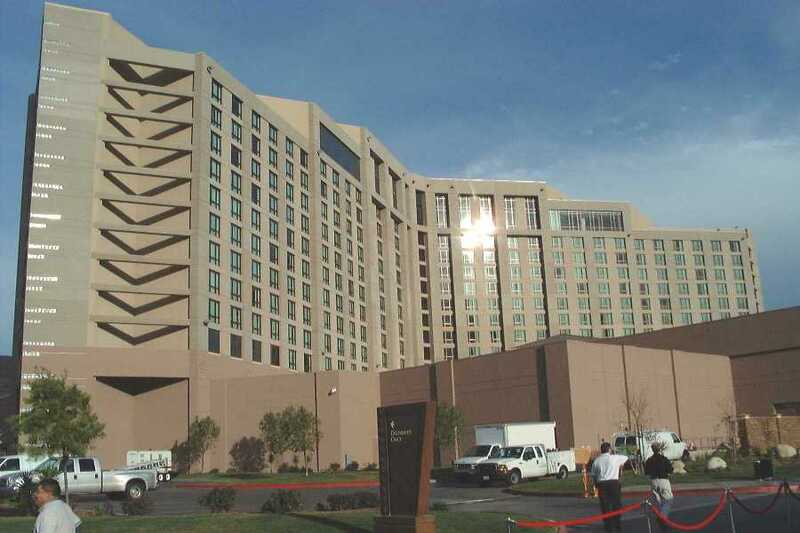 The Pechanga Casino and Resort has been a boon to Temecula, according to the Temecula Valley Chamber of Commerce. 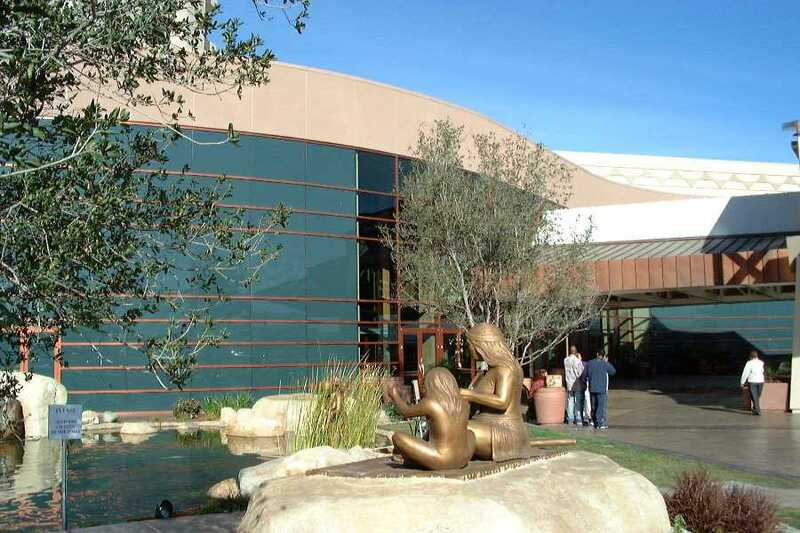 The Pechanga band of Luiseno Indians began working closely with the chamber on the casino complex idea back in 1995, chamber President and Chief Executive Officer Alice Sullivan said. "It's brought economic viability to the community," she said. "Many employees live here, shop here." In addition to employing an estimated 2,700 residents at the complex, she said, Pechanga money has been donated to the city's infrastructure, school sports teams and nonprofits, among others. "Everything we've done with them has been successful," Sullivan said. Temecula's businesses continue to do well since the casino was built, Sullivan said. None has complained about a drop in sales to the chamber, she added. >> the slots or the legions of fools that initiative would spawn — saps dependent on government bailouts after they hit rock bottom at the blackjack table. You can't get rid of "legions of fools" by passing or not passing an initiative. They'll continue to spend their money foolishly whether gaming expands or not. No, idiots like this woman should stop spending their money in tribal casinos if they think it's wrong. The system is called "freedom." It's based on making choices and taking responsibility for them. If Lopez wants to stump against industries that "waste" people's money without delivering a tangible product, let him tackle the entire media-entertainment complex—movies, sports, video games, theme parks, etc.—first. Gaming is just another entertainment option, and a minor one at that, compared to the output of Hollywood and the Silicon Valley.